Fire up your engines, pull on your aviator sunglasses and grab your volleyball partner, because "Top Gun 2" is a very real possibility. And that's coming from the one guy who can make it happen by sheer force of will alone -- Tom Cruise. While promoting the upcoming "Mission: Impossible - Ghost Protocol" in Dubai, Maverick himself said that he is pow-wowing with original "Top Gun" director and producer Tony Scott and Jerry Bruckheimer to figure out a way to check back in on his iconic '80s flyboy. "I said to Tony, I want to make another movie with him," Cruise told MTV News. "He and I haven't made a film since 'Days of Thunder.' Tony and I and Jerry, we never thought we would do it again. Then they started to come to us with these ideas of where [the 'Top Gun' characters are] now. I thought, 'Wow, that would be...what we could do now." Cruise went on to explain that the "Top Gun 2" script penned by "The Usual Suspects" screenwriter Christopher McQuarrie a few years back has been ditched, and that a new script will be written from scratch. "If we can find a story that we all want to do, we all want to make a film that is in the same kind of tone as the other one and shoot it in the same way as we shot 'Top Gun,'" says Cruise. Cruise and McQuarrie are currently teaming up on the thriller "One Shot," which McQuarrie is directing. The original "Top Gun" was released in 1986 and instantly launched Cruise into the stratosphere. 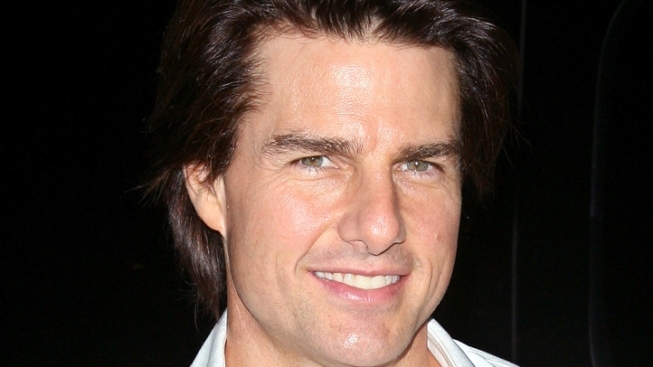 The original sequel rumor was that Cruise's hotshot fighter pilot Maverick would return as an instructor for a new class of Top Gun recruits. For a while, Taylor Lautner's name was floated for a key role, but if things are going back to the drawing board and Lautner continues to prove that he flounders in roles beyond "shirtless werewolf," we imagine he won't be involved.